The FitBank platform provides a comprehensive wellness program by creating custom fitness chanllenges and incentives. FitBank Training Program Manager, Steven Barnett has lost over 200 lbs and is now dedicated to helping others make the same lifestyle change. At the onset of Steven's journey, he relied on motivation and incentives to create healthy habits. Over a 5 year period, Steven has helped incorporated his experience with fitness, clean eating, recovery and stress management into the FitBank program. 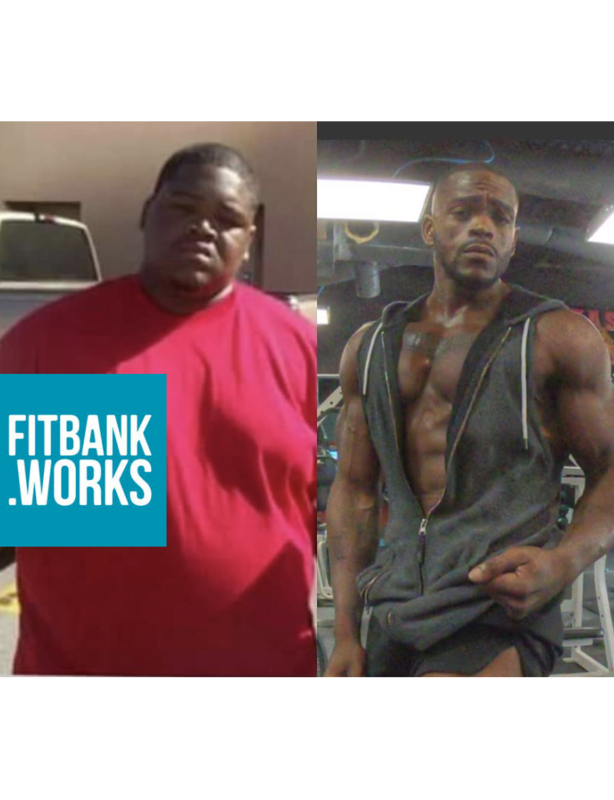 Today, Steven uses FitBank with his clients and has helped people lose 1000s of pounds. His story and others like his provide motivation and guidance for those individuals who are just beginning their wellness journey. As challenge participants achieve success, many share their gains on social media...leading to greater motivation among the group. The FitBank mobile app allows users to "check-in" at approved fitness locations to earn points toward goal-based incentives. The FitBank program is designed to keep participants engaged around wellness and fitness. It is not a diet or workout routine, instead it is a comprehensive program that focuses on forming lasting habits around fitness, clean eating, sleep, stress management and recovery. New goals and incentives are established, habits formed! Time to engage your customers and employees around fitness!